Gordon Young was born in 1927 to American Baptist missionary parents in Banna, China. The family soon moved to Northeast Burma where Young hunted and played with Lahu-Na tribal boys, learning by age ten to survive in mountain jungles alone, armed only with knife and bow. At twelve, Young killed his first buck deer, witnessed by a seasoned old tribal Master Hunter, a qualified Hpahteulo, who placed his hand on the boy’s head blessing him to become a Hpahteulo one day. That day came true when Young was 31, and a Ku-lao Lahu chief bestowed upon him the title of Hpahteulo after he had killed a charging bear. The rules were, a hunter had to kill at least one each of six male “killer” animals while they attacked or rampaged: gaur (wild oxen), Tibetan bear, leopard, tiger, wild boar, and elephant. To achieve this hunter’s honor from the Lahu people, Young figures that he spent hundreds of days and nights in the jungles with Lahu hunters and sometimes alone. 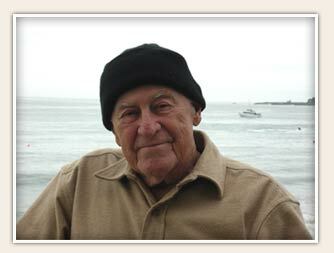 Young spent childhood years in Burma and North India, with World War II impacting heavily on his adventures and travels. Later he served the U.S. Army in Korea, obtained a B.S. at Cal Poly San Luis Obispo, then moved to Chiang Mai, Thailand to work for the U.S. Government. There he also did field collecting for museums, founded the now famous Chiang Mai Zoo with his father, and compiled the first significant informal ethnographic study of Thailand’s northern hill tribe peoples. Naturalist-hunter-ethnologist, Young’s life has spanned some forty years in South and Southeast Asia. A keen and compassionate observer, Young’s exciting storytelling offers rare insight on the vibrant peoples, cultures and wildlife in often remote, seldom-trodden places where he lived and traveled. His publications include: The Wind Will Yet Sing; Journey from Banna; Run for the Mountains; Tracks of an Intruder; The Hill Tribes of Northern Thailand.